If you want to record the screen and save it as Flash movie you need Screen 2 WebFlash. Flash-Creator was awarded with 5 of 5 stars by software directory FileTransit.com! Flash-Creator was awarded with 5 of 5 stars by software directory get-freetrial.us! Flash-Creator was rated with 5 of 5 stars by software directory shareup.com. Flash-Creator was rated with 5 of 5 stars by software directory BrotherSoft.com. Flash-Creator has been awarded by www.soft32.com with 5 stars. Flash-Creator was awarded with 4 stars by software directory softpicks.net. 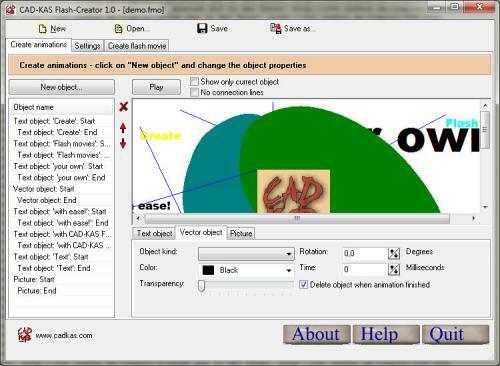 Flash-Creator was awarded with 4 golden disks by software directory globelshareware.com. Flash-Creator was awarded with 4 stars by software directory softaward.com. Flash-Creator 1.0 was rated with 3 cows by software directory tucows.com.